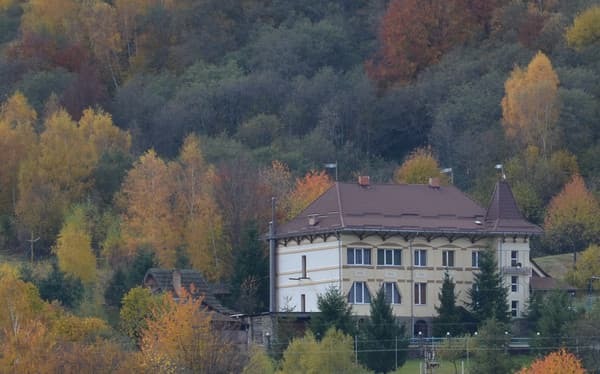 Tourist complex "Perlina Krasii" is located in s.Vyshka on the northern slope of Mount Krasia, which is part of the ridge of the Eastern Carpathians. The hotel building is a modern three-storey building. 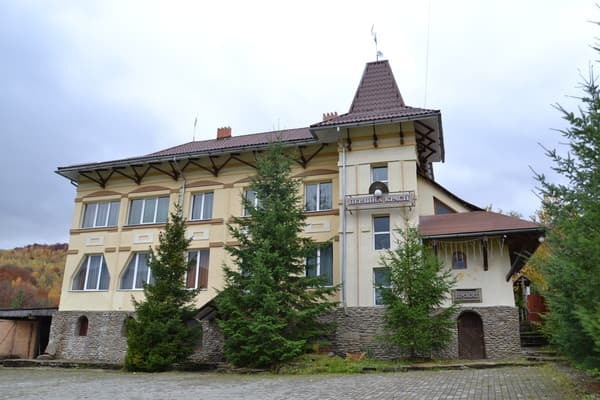 The medieval Nevitsky chateau resembles its appearance, exterior layout and original design. On the ground floor of the hotel there is a restaurant with a bar. The restaurant is divided into two rooms, which can accommodate 80 people. The menu of the restaurant is focused on Ukrainian dishes, but with an emphasis on the local flavor of Hungarian and Slovak cuisines. On the second and third floors there are comfortable rooms, all equipped with TVs, separate bathrooms, carpeted floors. 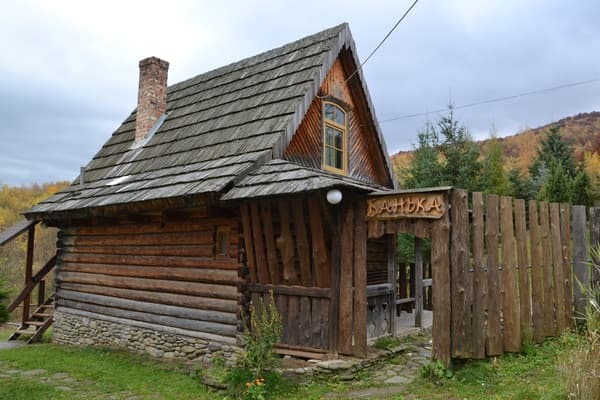 In the tourist complex "Perlina Krasii" there is a sauna, a sports ground and instructors. Directly near the complex is the lower station of the chairlift "Lokomotiv" (1600 m). 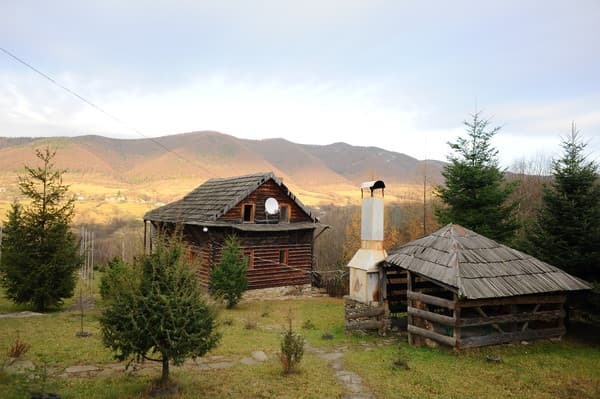 Description of the room: Double room with views of Mount Krasiyu.Spalnaya room is divided with a connecting door bathroom. In the common room coffee table sofa bed. These rooms can accommodate 4 people. or a family with children. In one of these rooms on the first floor has a balcony with access to the terrace. Placing additional space for extra charge. On the ground floor of the hotel has a restaurant with a bar. The restaurant is divided into two rooms, which can accommodate 80 people. The restaurant's menu is focused on Ukrainian dishes, but with an emphasis on local flavor of the Hungarian and Slovak dishes. 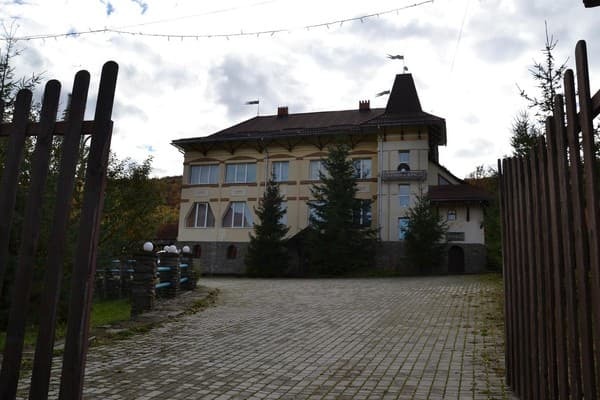 Tourist complex "Pearl Krasії" s.Vyshka located in the northern slope of the mountain is beautiful, which is part of the mountain range of the Eastern Carpathians. At the entrance to Uzhgorod turn right along the bypass road towards the border with Slovakia. After driving five kilometers you need to move to the right, guided by the indicator in the direction Perechin - Veliky Berezny - Lviv. For Bolshoy Bereznaya, after 10 km in the village of Kostrino, turn on the indicator to the right, through the railway crossing to Lyuta village. In the entrance to Vyshka there is a sign-sign of the tourist complex.